The Sherbet Patch. Diary of a (not so) fledgling business. : Snoozy fox - inspired by a very snoozy cat. I love making Snoozy Fox. 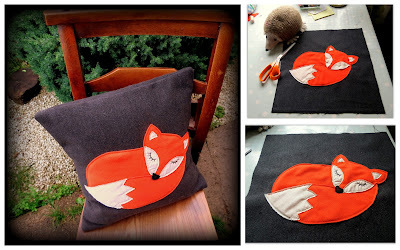 A soft, charcoal wool base and tactile, woollen fox in contrasting orange. Now available to buy at my Etsy shop. ....inspired by a very snoozy cat. I love winter fabrics, they're just so tactile.